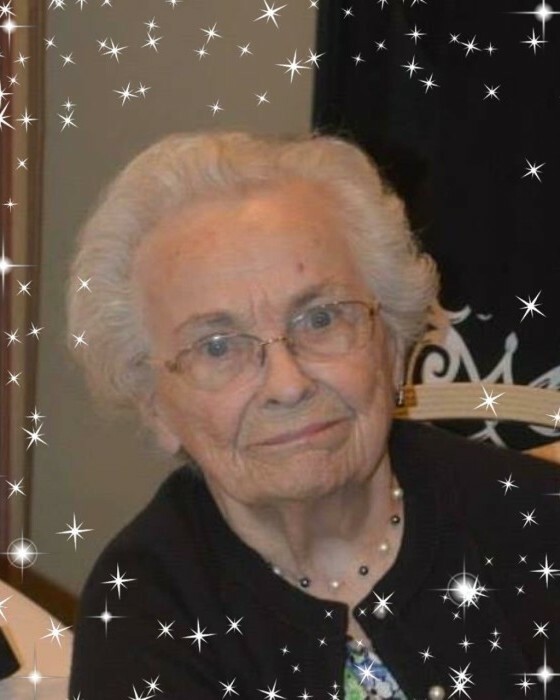 Kathleen M. Arthur, of Alexandria and Harrisonburg Virginia, passed away peacefully on January 21, 2019. Born in Washington D.C. on March 22, 1925, Kathleen was a life-long member of Grace Episcopal Church in Alexandria, Virginia. She worked for over forty years as the General Manager at Presidential Gardens. Kathleen was preceded in death by her loving husband, Edward G. Arthur Sr. She is survived by her three children; Barbara (Bob) Slate of Richmond, Virginia; Ed (Kathy) Arthur of Alexandria, Virginia and Kathy (Bill) Roche of Springfield, Virginia; nine grandchildren and eight great-grandchildren. A Memorial Service will be held on March 23rd at 2:00 pm at Grace Episcopal Church, 3601 Russell Road, Alexandria, Virginia 22305, where Kathleen was a devoted member. In lieu of flowers, the family asks that donations in Kathleen’s honor may be made to Grace Episcopal Church. Please include Kathleen’s name on any donations made by check to ensure they are routed properly. You may also click on the link below to donate online. Please choose the 'Kathleen Arthur Memorial Fund' from the pledge list. Kathleen truly enjoyed spending time with her family and friends. She was a loving mother to three children, grandmother and great-grandmother, and will be dearly missed by all who knew her.